Sometimes it just feels like there aren’t enough hours in the day. You set out to answer some e-mails in the morning and all of the sudden it’s lunchtime and you haven’t gotten to any of the items on your to-do list. It feels even more hectic for those of us who are juggling jobs, kids, homes, and caregiving for our loved ones. Is there any way to find more time? "Our greatest natural resource is the minds of our children" Walt Disney My mother's early onset dementia, at the age of 62, affected our whole family; not only the adults, but the children too. There was no escaping it. Everyone was impacted. For this reason, and many more, I think talking to kids about dementia is very beneficial. In fact, involving kids in our family's dementia experience brought on so much more value than I ever expected. We were left with poignant gifts, despite the hardships. Water Everywhere! But Why Aren’t Elders Drinking? With supermarket and convenience store shelves awash with bottled water, it’s inconceivable that anybody could be dehydrated. Yet studies suggest a third of elders are chronically dehydrated, which can result in some very bad health outcomes. With approximately one in three older adults suffering from some form of eye disease or condition that adversely impacts eyesight, loss of vision has become a major healthcare problem in America. The 4 most common eye diseases or conditions that crop up with aging include glaucoma, cataract, diabetic retinopathy, and age-related macular degeneration. Since the risk of vision loss increases significantly with aging, it is important that the elderly population gets a comprehensive eye examination. 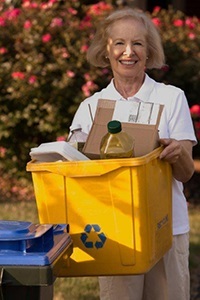 As our loved one’s age, simple household chores can become increasingly difficult. Laundry can quickly become a hazardous task for our loved ones to perform on their own. Here are some tips to help your loved one maintain their laundry, a small but important step toward retaining independence. People of all ages can experience transfer trauma (or relocation stress syndrome) when moving to a new home. But the elderly can be particularly susceptible, with severe physical and psychological effects. As a caregiver or caretaker of a loved one, it’s important that you learn about the signs and potential repercussions of transfer trauma so that the impact can be minimized or prevented altogether. Did you know that as we grow older, our sense of touch diminishes? Sure, I knew that eyesight and hearing often decline, along with our sense of smell and taste, but it was news to me that our sense of touch declines as well. According to a recent *article in AARP, by the time we are 80, we’ve only a quarter of the touch receptors we had at 20. Because it’s so gradual, many of us may not even notice this loss. While our sense of touch may lessen, our need for touch certainly doesn’t! Helping Seniors Connect with Others is Easier Than You Think! Helping Seniors Connect with Others is Easier Than You Think! There is a wealth of information that caregivers and seniors can access to help stay connected with others. Perhaps, an activity or two on the web might fill up those days where gaps in time can feel forever for loved ones. A few are listed below with a brief description of each. Many of us speak of obtaining care for our loved ones or clients so that they can remain in their homes. This is the ideal setting for people in most circumstance. The concept of “In home” care has gained universal awareness and acceptance. Indeed, the term “Home Care” has become a part of our vernacular or lexicon. But here is the important distinction that caregivers need to understand: “Home Care” is a very specific type of care. 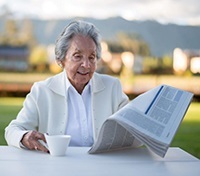 As caregivers we tend to want more for our loved ones than reading the newspaper, watching TV and sitting quietly trying to take prolonged naps. Although it might seem like a rather daunting task to convince our loved ones to get more active, communities are gearing up to take on the challenge of providing physical activities for their seniors. This would make sense; especially when the CDC (Center for Disease Control) recommends physical activity for those over the age of 65 to be about 2–2.5 hours a week. Our bodies are over 50% water, and we need it for blood to flow and for our organs to function. When we lose too much water from not drinking enough, sweating, or illness, we can get dehydrated. This is rare in children and young adults, however, in older persons dehydration is quite common, especially when the person has Alzheimer’s disease or a related dementia. In fact, most older adults are at least somewhat dehydrated all of the time. This is because many medications cause water loss, and because older people often drink less to avoid frequent trips to the bathroom or accidents. With cold, snowy and icing conditions on the way, now is the time to prepare for winter safety. Extreme weather conditions are hard on everyone, but can be particularly challenging for seniors. Because of chronic health conditions, multiple medications, and impaired mobility (difficulties with walking and balance), seniors don’t react the same way they did when they were younger. As a result, seniors can be slower to adjust to adverse conditions that puts them at increased risk for slipping and falling. If you are providing care for an older loved one who lives in their own home, chances are good that they want to stay there for as long as possible. Home upkeep may become a challenge, especially if your loved one has mobility issues. Here are some techniques and products that can help your loved one overcome these challenges to maintain their home – and their independence. Most older adults visit the doctor regularly – for checkups, monitoring chronic illnesses, or when new symptoms develop. Some prefer to meet with the doctor privately. Others like to have a family member present for all or part of the appointment. If your relative has Alzheimer's disease or a hearing impairment you can make sure he or she understands what the doctor is saying. Caring for an older adult with Alzheimer's disease or serious illness can be a rewarding experience for families and spouses. It is also a tremendous responsibility especially if the person cared for suffers from memory disorders, depression or serious illnesses. Besides looking after the needs of their older parents, "Sandwich generation" caregivers are also responsible for caring for their own children -- often while holding down full or part-time jobs. 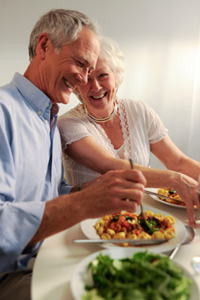 As your loved one ages, they may experience changes that impact their appetite, their ability to distinguish taste, smell, temperature and texture of food, and if they have dementia, they may have difficulty feeding themselves. You can help your loved one maintain proper nutrition and avoid unwanted weight loss and other negative outcomes by following the tips below. Your loved one’s physician may also recommend nutrient-rich liquid supplements to help your loved one maintain their health. Are advance directives valid in all states? Are advance directives valid in all states? Each state has its own law regarding advance healthcare directives. “Caregiver stress” is a frequently used term, but it can show itself in different ways in different people. Stress can be categorized in two ways: physical or psychological. Physical stress can show up through sleepless nights, headaches, being tired all the time, a change in heart rate, changes in appetite and other bodily signs. Psychological stress will show itself through irritability, depression, forgetfulness, anxiety, poor concentration and the like. It’s easy to see why caregiver stress can have a negative impact on your ability to provide care for your loved one. If you are experiencing any of these signs of stress, it’s time to take care of yourself. There are a wide range of services and supports available to assist caregivers in ensuring the health and well-being of the loved one in their care. Accessing services and supports, however, can sometimes be a challenge, even in metropolitan areas with an active aging-services network. In rural areas, those challenges are magnified. A smaller population likely means the presence of fewer provider agencies that can step in to help. Medical and health services may be located a great distance away. While these and other obstacles to caregivers will likely persist, there are ways to manage these challenges to help you help your loved one live with a high quality of life and to help you manage your caregiving tasks. Caregivers and their loved ones often disagree when it comes to managing their care. Dementia can cause many differences in opinions, as caregivers may not understand the things that are important to their loved ones. 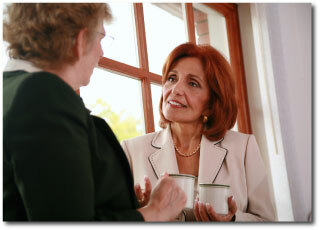 Those differences of opinion can arise in other caregiving situations as well. In today’s fast-paced world nearly everyone has a smart phone. Whether you’re just playing games or organizing your life, there’s an app for everything nowadays; caregiving is no exception. There are many apps on the market designed for caregivers: from general caregiving information to tracking medication schedules. Here is a small sample of some free, highly rated apps available to help you care for your loved one. You’re worried about your mother’s increasingly apparent memory loss. What do you do? Your father is scheduled for surgery and you’re anxious about the help he’ll receive during his recovery. Where do you even begin to look for help? Caregivers ask themselves questions like this every day. And if you’re new to the caregiving role, you may be at a complete loss of where to even begin. How do you know where to turn for answers, when sometimes you don’t even know what questions you should be asking? Working as a caregiver for a parent or loved one takes more than just time and energy. Caregivers must balance work life at their day jobs along with taking care of their loved ones. In some cases, caregivers have to sacrifice time at work—or working at all—to help their loved ones. This sort of sacrifice hurts the caregivers as this results in lower wages and also lowers social security and pensions when they return to the workforce. Many memories can be found in objects of sentimental value. A special photo of your parents on their wedding day. A set of china that was a gift from your father to your mother. When your parent or parents die, or transition into assisted living, these items can take on even more value--as you will most likely become their recipient. Being a caregiver can be stressful on you and your sleeping habits – and for caregivers of loved ones with dementia this is especially true. According to National Alliance for Caregivers, two-thirds of the 10 million people who care for patients with dementia suffer sleep disturbances. Pneumonia can be more than just a “bug” for anyone over 65 years of age. As a caregiver, you need to understand that this infection of the lungs can be quite dangerous and possibly deadly to your loved one. It is recommended that your loved one receive the pneumonia vaccine. Chronic loneliness is growing rapidly in the United States. A recent survey conducted by the AARP shows that 20 percent more older adults suffer from chronic loneliness now than did 10 years ago. 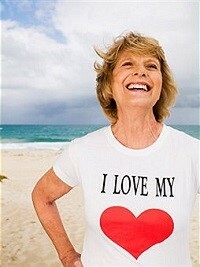 This means there are millions of adults over the age of 45 suffering from chronic loneliness. As caregiver for your parent or other loved one, you want what is best for the person in your care. You take care of your loved one’s daily needs, make sure he or she has appropriate medical care, prepare nutritious meals and do everything you can to improve your loved one’s quality of life. People purchase or adopt pets for many different reasons, but it’s safe to say that companionship ranks among the top. A pet can be a staunch friend and companion. They also can eliminate boredom, battle anxiety and depression. Having a pet around may seem like an ideal situation for older adults. An average doctor’s appointment is just 15 minutes. There is a lot to accomplish in that time. That time is valuable, so in order to make the most of it, one must be prepared. Understandably, going to the doctor can be nerve-racking and overwhelming for older adults, especially those who are dealing with complicated health conditions or are facing serious health decisions. It is best if the caregiver can accompany the older adult on the doctor appointments, but if that’s not possible, the caregiver can help prepare for the visit. Worrying about your elderly loved one can be quite stressful, especially if he or she is living alone and you are far away. An emergency alert device can help alleviate the stress you and your loved one may be feeling. An emergency alert device is a remote device about the thickness of a quarter that is linked to a base. Your loved one can wear it on a nylon necklace, on a wristband, or a belt clip. Most alert devices are waterproof, so they can be worn at all times, including when bathing. Caregiver Burnout: Is it Time to Stop Being the Caregiver? Very few people sign up to become caregivers of their aged parents or loved ones. The role of caregiver is usually thrust upon someone because of an emergency situation, or it just happens so gradually that a person becomes a caregiver and probably didn’t realize it. The ability and want to work is something that doesn’t change for people just because they retire from their first careers. Many older adults would like to continue to work in some fashion to have an additional sense of purpose, make extra income, or to have more flexibility in their work/life balance. The ability to drive is a symbol of freedom—freedom to travel to work, to visit friends and relatives, and to go basically wherever you want to go. This freedom is a privilege for people who can obey or follow the rules of the road. Although most people become more conservative as drivers as they get older, statistics show that older adults are more likely to be in multi-car crashes or to receive more traffic citations than younger drivers. The ability to drive a car is a privilege, not a right. This needs to be taken into consideration as drivers get older. Reflexes become dull; eyesight fades. These things happen to all seniors as they get older; however, some seniors have a difficult time relinquishing the keys when the time comes for them to stop driving. If you are a caregiver for a parent or loved one, you have probably heard the term “Geriatric Care Manager” but may not know exactly what one is. That’s because it’s a relatively new profession to enter the field of elder care. Flying is one of the most popular and convenient ways to travel– especially for older adults who have chronic health conditions. If your older loved one has not traveled by plane recently you might consider volunteering to help him or her prepare for the trip so it will be as pleasant and care-free as possible. Congratulations, you just became a grandparent! The odds are fairly good that you also became a part-time to full-time babysitter. We live in a very transient society. Whether we choose to move because of job relocation, or a desire to live in more agreeable climate, many older adults have adult children who live in different states or regions of the country. When it comes to caregiving – it isn’t necessary or always possible for caregivers to live in the same community as the older adult. If you live an hour or more away from the older adult, you are considered a long distance caregiver. It’s hard to believe that the winter holidays are almost here! If you are caring for an older adult you are probably trying to decide when your family’s traditional holiday celebration will take place this year and who will be invited. Like many family care providers you’ll need to plan ahead for festivities that are easy to manage and don’t require lots of complicated food preparation or cleanup so you can enjoy the holiday celebration too. A visit to the emergency room is an upsetting experience for anyone and it is especially frightening for an older adult with a failing memory. Medical emergencies occur frequently in older people with multiple chronic diseases and are especially likely to occur in those with memory disorders like Alzheimer's disease. Fortunately, many illnesses and injuries can be diagnosed and treated in the emergency room and don't require a hospital stay. Gardening can be a wonderful activity for older adults with Alzheimer's or other memory disorders and their families. Whether you and your parent have earned green thumbs after years of tilling the soil or are looking for a pleasant new activity you can enjoy together, nothing quite beats working in the garden. Early in the evening when the sun goes down is the time for you and your older parent to put aside the cares and chores of the day and prepare for a good night's sleep. For many people in the later stages of Alzheimer's disease however, the end of the day and the coming of night are upsetting, confusing, even frightening. Moving to a new home is a huge event for people of any age. It's especially stressful for older adults who may have lived in the same house in the same neighborhood for decades. Whether they're moving to a house across the street or a retirement community across the country they'll need lots of help and support from you and other family members. Finding the right doctor is essential for people of any age. 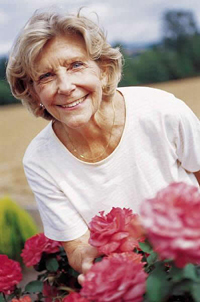 It's especially important for older adults who often have numerous health conditions. A knowledgeable physician – especially a doctor who focuses on caring for elderly patients -- can provide the care older people need to stay as healthy as possible. INTRODUCING THE "SANDWICH GENERATION" Juggling child care, parent care and a job – without dropping the balls or losing your own mind – is a major challenge for women of the "Sandwich Generation." According to the Administration on Aging, the care families provide for older adults make it possible for them to live at home instead of moving to a nursing home, assisted living, or other long-term care facility. Caring for someone with Alzheimer's or other chronic illness can be a tremendously challenging experience for families. Yet many caregivers firmly believe it's their duty to care for older parents and spouses. Others are reluctant to seek help because they don't think anyone would be willing to lend a helping hand. Some caregivers simply don't know what kind of help to ask for. Pets are an important part of the lives of many older adults. If your parent grew up with dogs and cats he can't imagine what his life would be like without the friendship of a furry friend. The bond between older people and their pets can be a strong one especially when an older person lives alone. 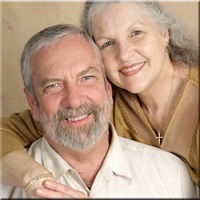 The Internet is a terrific information resource for older adults and their caregivers. With the click of a mouse you can access thousands of websites offering a wealth of information on a variety of useful subjects. If you don't own a home computer most libraries have free computers available for public use. Libraries and senior centers sponsor free or low-cost introductory computer classes and Internet search techniques. Or ask a computer savvy family member for assistance. How prepared are you and your older family members for a disaster? Do you know what to do if a severe thunderstorm, earthquake, hurricane, tornado or blizzard strikes your neighborhood? Planning ahead for such emergencies is critical for families of older adults – especially if they care for people with chronic illnesses, physical disabilities, or Alzheimer's disease. Knowing what to do in a crisis could save the lives of and prevent injuries to the people you care about. If you are looking after the needs of an older family member and often feel overwhelmed by caregiving -- you aren't alone. However friends, neighbors and other relatives are often eager to help you in any way they can. With their assistance you'll be able to provide the best possible care for your older relative and take care of yourself too. A hospital stay can be particularly upsetting for older adults – especially if they have Alzheimer's disease or other memory disorders. Your relative will be away from familiar surroundings. He or she may have a roommate. Hospital food is different from home cooking. Hospitals are noisy places. Patients often have a hard time sleeping. Nurses, doctors, and other staff come and go at all hours. To top it off – hospital patients don't feel well. If your older relative needs to go to the hospital for treatment, tests, or surgery, planning ahead can make the experience less upsetting for both of you. Sooner or later your older family member will need a doctor -- for a specific complaint or routine care. The best time to choose a doctor is before your relative gets sick. Talk with your relative about what kind of doctor will meet his or her health care needs best. Make a list of questions and names of a few doctors you both would like to meet. 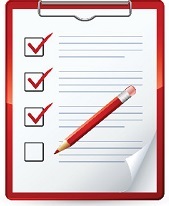 The list will help you make an informed decision and feel confident that your relative will get the best possible care. Over the years families often move apart. Adult children find better jobs and move to new cities. Parents head south after retirement. Family ties become strained because relatives no longer share the same interests or values. When older parents need help, distance can make caregiving a complicated task – filled with phone calls, numerous trips, uncertainties and worries. Most older adults want to keep driving as long as possible. Without a car they fear losing their independence and fear they will become a burden on family and friends. Sudden illnesses or injuries can be frightening. Knowing what to do in emergency situations ensures that you get the medical help needed to save the life of an elderly relative. Emergency medical service units (EMS) respond to every call they receive and should be used only when a real emergency takes place. EMS units summoned for non-emergencies aren't available for true emergencies. Older adults are prime targets for telemarketers. They're often home during the day -- bored or lonely -- so phone calls from anybody are a welcome break. People with physical disabilities or even mild memory loss are easy prey for unscrupulous telemarketers. Many older people hold onto bills, statements, medical forms, insurance policies, property deeds, contracts, credit and other papers they no longer need. With time and patience you and your parents can organize these papers and decide what must be saved and what can be thrown away. Why Does My Relative Have to Take so Much Medicine? If someone you care for is over 65 you probably manage from two to seven or more medications every day. 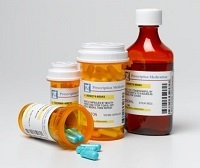 Of the 1.7 billion prescriptions written each year over a third are for older adults. Certain medicines you decide to take yourself. Others are prescribed by your doctor. You may feel like your whole day revolves around medication planning for your loved one.